Rock concerts on cruise ships by big name groups are not all that unusual. However, most of the time, it is a situation where a concert promoter has chartered a ship for a few days. 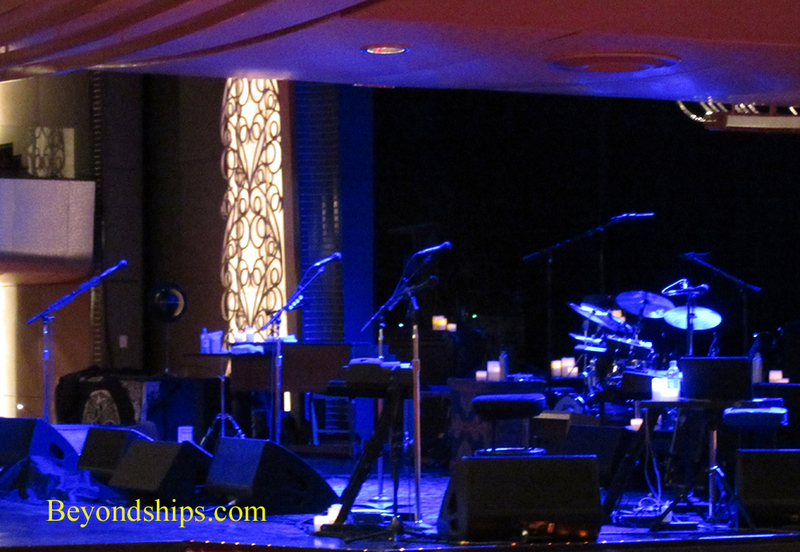 The voyage that Crosby, Stills & Nash were on was just one of QM2's regularly scheduled transatlantic crossings. As a result, unlike a concert charter, you had a diverse group of passengers. Some guests came on the ship just to see Crosby, Stills & Nash. 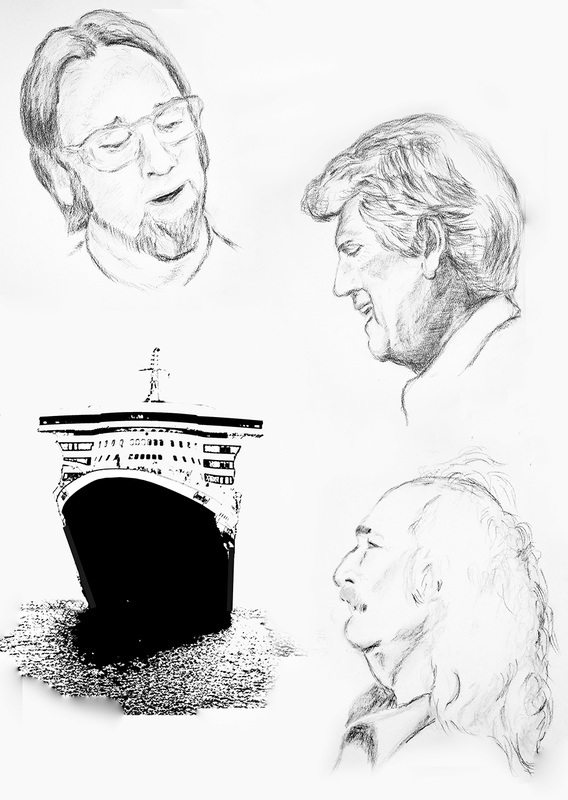 Others were thinking of doing a QM2 crossing and decided to do this one because it featured the band. Still others had no idea that CSN would be aboard and were pleasantly surprised to find this enhancement to their already-planned trip. Crosby, Stills & Nash is not the first major name to appear on Queen Mary 2. For example, James Taylor has performed on the ship. Similarly, Carly Simon gave two concerts on Queen Mary 2 in 2005, which were subsequently released on a DVD and broadcast on American television. In addition, QM2 afforded Crosby, Stills & Nash the opportunity to perform in a venue that was both intimate yet well-equipped. The Royal Court Theatre in which the concerts were held was designed to host Broadway/West End caliber shows and has first class sound and light equipment. It has 1,004 seats arranged on two levels, which surround the stage on three sides. Unlike the sports areans in which CSN usually plays, no seat in the Royal Court Theatre was more than a few yards from the stage. “When we are playing as Crosby, Stills & Nash, we rarely play any place this small. I like it particularly because the words really count and you don't have to wait . . . in order to get people's reaction.” Mr. Crosby observed. CSN played three concerts on Queen Mary 2. There were two shows on the fourth night of the crossing and one show on the fifth night. Each show lasted about an hour. Each passenger received a ticket to a specific show. However, a desk was set up in the lobby where guests could exchange tickets or put their name on a list for tickets so that they could attend more than one show. Passengers also swapped tickets on an informal basis. We attended two of the shows and there were some empty seats at both. Looking around at the audience, most of the people appeared to be about the same vintage as the band. However, unlike rock concerts of the late 1960s and early 1970s, there were smartly dressed stewards taking orders and carrying champagne flutes as they scurried down the aisles before the shows began. The Woodstock Generation 40 years on. The stage was crowded with equipment. Backing CSN were drums, a bass, two keyboards, and another guitar. Throughout the set, stagehands would appear to hand the various band members another instrument. There was no accoustic set, all the songs were performed with the band. The set consisted of popular songs from the 60s/70s. They opened with Carry On, and continued through classics such as Marrakesh Express, Wooden Ships, Our House, Deja Vu, Just A Song, Southern Cross, Long Time Gone and Teach Your Children. The only song that was originally released on a solo album that they performed was Stephen Stills' Love the One You're With. While audiences expect to hear such favorites, it would have been interesting if CSN had interspersed some new material with the old. Instrumentally, the band played well despite the rocking sea during the final show. The band's trademark vocal harmonies were tighter that night than they had been the previous night but on both nights were reminiscent of the group's early days. Some of the lead vocals were somewhat strained but then it is hard to recreate a recording studio performance in a live setting. The audience reaction was enthusiastic with frequent standing ovations. Speaking with people later, there was a general recognition that the three artists are older now than they were at Woodstock but the genuine appreciation of their performance was not based on nostalgia. In addition to the three concerts, the group did a public interview hosted by author David Bender and two autograph sessions. 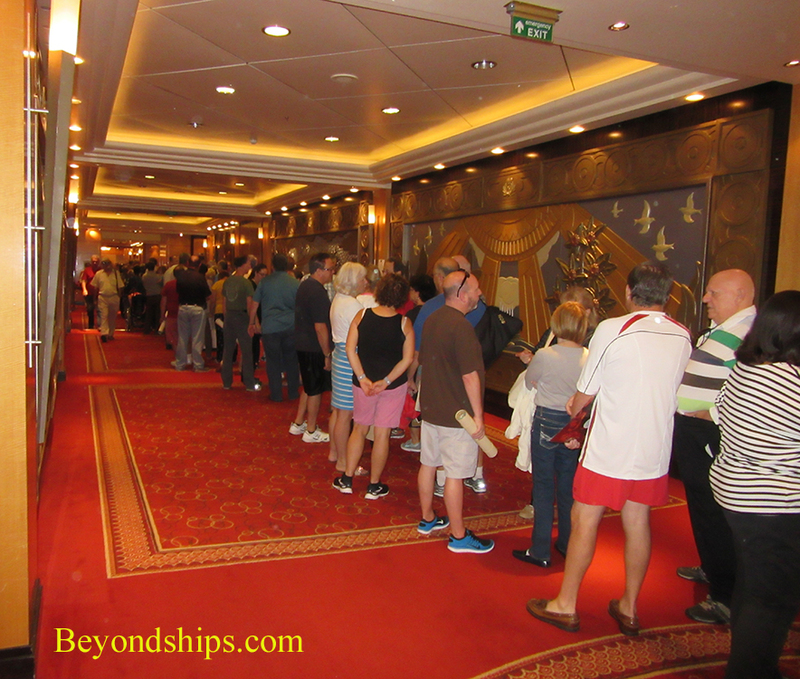 The queue for the autograph sessions extended from the Grand Lobby down to the entrance of the main dining room, about a third the length of the world's longest ocean liner. Beyond the formal events, excitement pervades a ship when a celebrity is onboard. Walking around the ship, people hoped to catch a glimpse of one of the stars doing the things that ordinary mortals do. Whereas legends abound on QM2 about Roger Daltry, lead singer of The Who, doing an impromptu performance in the Golden Lion Pub, Crosby, Stills & Nash did not mix very much with their fellow passengers. Mr. Nash was sighted occasionally in Sir Samuel's Coffee Bar but otherwise the group seemed to keep to themselves. Of course, that is one of the nice things about QM2, you have the choice of socializing or not and there is the space so that you can maintain your privacy if you so wish. Left: The line for autographs.